Tenuate and phentermine are appetite suppressants that may only be taken under supervision of a doctor. Both are available by prescription only and should only be used as a supplemental part of a physician-developed weight loss program that includes exercise and diet modifications. Although both drugs work in a similar manner, they’re different chemical compounds and may affect patients differently. The appetite suppressant phentermine is marketed under the names of Adipex-P or Ionamin and is an amphetamine-based compound available in extended-release or before-meals dosages. Common side effects reported include dry mouth, a bad taste in the mouth and digestive difficulties, though side effects may be minimized by taking the medication with food. Most patients who take phentermine are only on the drug for a three- to six-week course of medication, as extended use of phentermine may be habit forming. 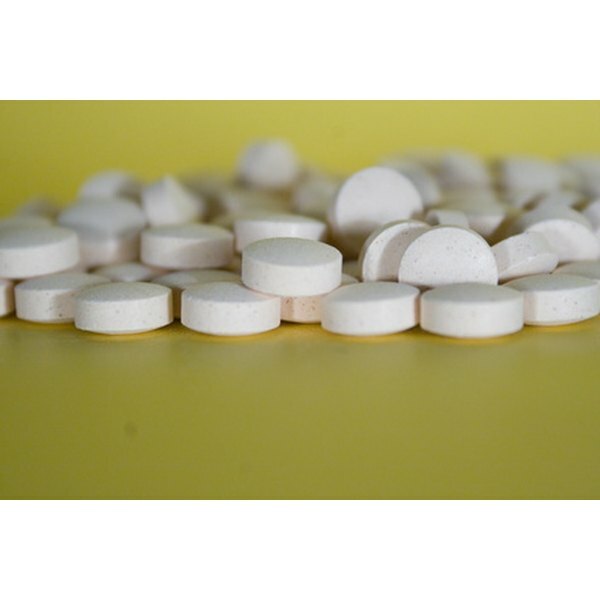 Tenuate and Tenuate-Dospan are brand names for diethylpropion tablets and are available either as a once-a-day extended-release tablet or as tablets to be taken shortly before meals to help control appetite. Its side effects are similar to those of phentermine, though incidences of dizziness, anxiety, depression, tremors and increased volumes of urination. Tenuate is also a habit-forming substance, and doctors typically limit its use to short-term, weeks-long courses to supplement weight loss programs. It is usually administered at a lower dosage than phentermine is. Although phentermine and Tenuate are used to suppress appetites and have similar side effects, they’re significantly different on the chemical level, which means patients’ bodies may react differently to the drugs. Those who suffer side effects that make continued use of one drug impossible or are not responding to treatment by one may transfer to treatment from the other drug as an alternative. Because of these drugs’ habit-forming tendencies, patients using them for a long-term basis may be advised to switch between the two midway through the course of their treatment. Can I Take Diet Suppressants While Taking Blood Pressure Pills?